Transformational leaders focus on followers, motivating them to high levels of performance, and in the process, help followers develop their own leadership potential. Research evidence clearly shows that groups led by transformational leaders have higher levels of performance and satisfaction than groups led by other types of leaders. Why? Because transformational leaders hold positive expectations for followers, believing that they can do their best. As a result, they inspire, empower, and stimulate followers to exceed normal levels of performance. AND, transformational leaders focus on and care about followers and their personal needs and development. 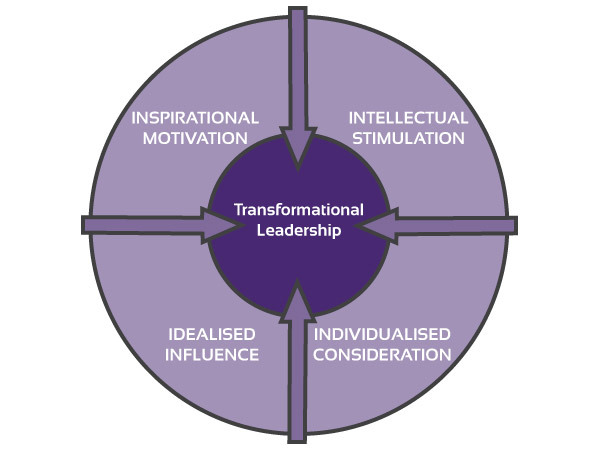 Here are some items from our new measure of transformational leadership. See if you have transformational leadership qualities (Agree or Disagree). 1. I would never require a follower to do something that I wouldn’t do myself. 2. My followers would say that they know what I stand for. 3. Inspiring others has always come easy to me. 4. My followers have told me that my enthusiasm and positive energy are infectious. 5. My followers would say that I am very attentive to their needs and concerns. 6. Even though I could easily do a task myself, I delegate it to expand my followers’ skills. 7. Team creativity and innovation are the keys to success. 8. I encourage my followers to question their most basic way of thinking. If you Agree, you have the qualities of a Transformational Leader. ~ Ronald E. Riggio, Ph.D.